Fluoramics, Inc. has two new versions of HinderRUST rust inhibitor in aerosol spray cans. The new packaging will allow industrial users and consumers to more quickly and uniformly apply HinderRUST HV100-ASC and HinderRUST R2.0-ASC to everything from wire rope and pulleys and manufactured parts, to molds, vehicle under-bodies, hand tools and firearms. 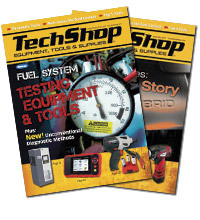 These two aerosol versions follow on the heels of the successful introduction of HinderRUST S4.0 aerosol spray can earlier this year. 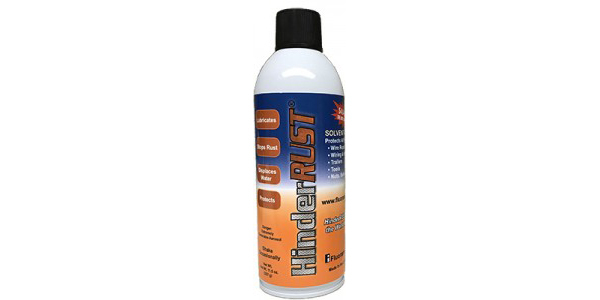 Each version of HinderRUST is solvent-free and safe to use in enclosed areas.